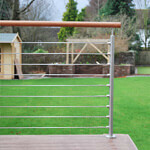 Frameless glass & stainless steel wire balustrade at a residence in Worksop, Nottinghamshire. 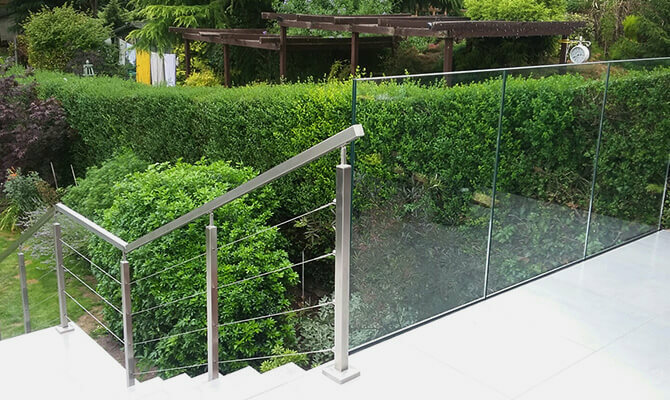 Delightful installation by our team, using a clever mix of frameless glass channel balustrade and stainless steel Wire balustrade on this raised balcony area with steps leading down to the lawned garden area. 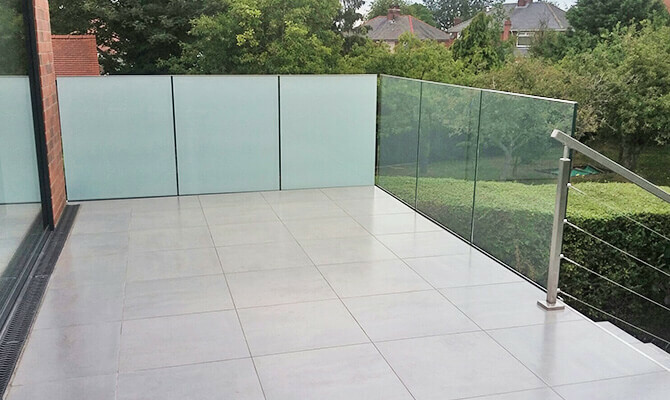 Using Frameless Pro Facia Mount Glass Channel Balustrade around the upper level allows for the glass to sit flush with the floor, offering unspoilt views of the garden whilst at the same time offering protection from the elements, the balcony ends have been finished in a frosted glass for added privacy. 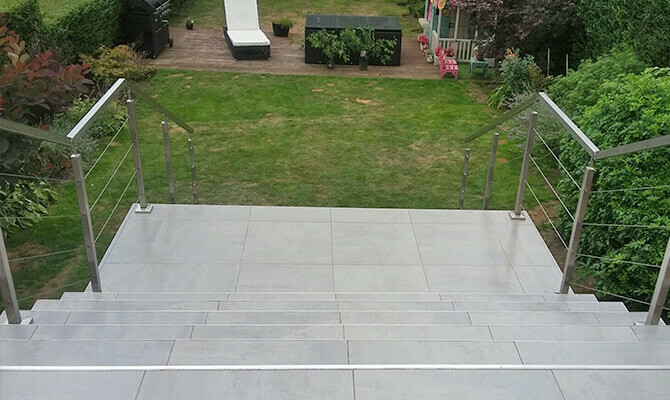 The double level stairway uses a post and handrail balustrade system with our wire balustrade infill for safety. 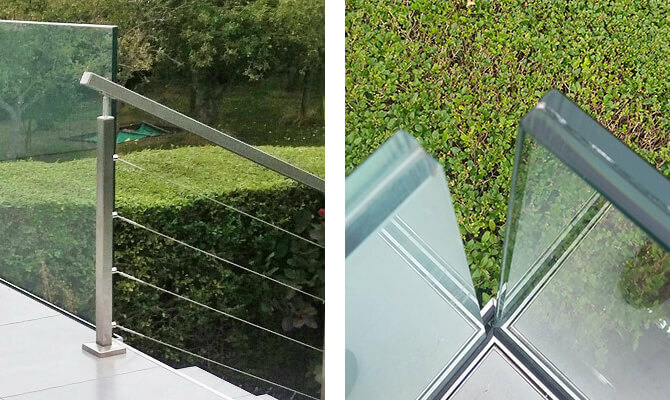 Our popular Square Line Balustrade System and Wire Balustrade system has been used for Stairway.